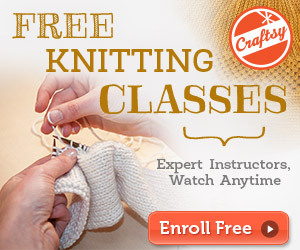 Hi There, I'm Laura Doty, the knitter/crafter who writes this blog. I spent the past 8 years traveling the world and skating in professional ice shows, but now I've moved back home to Denver, CO and I couldn't be happier to be here! My goal for Creating Laura has always been to make one crafty thing per week and to share it with you guys here on the blog. Sometimes I hit that goal, sometimes I don't, but all a girl can do is try, right? 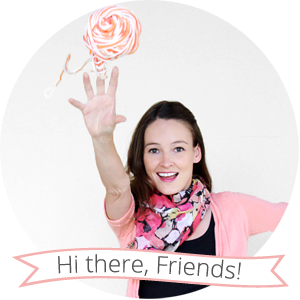 If you'd like to get in touch, please feel free to email me at CreatingLauraBlog (at) gmail (dot) com. The things you make are amazing! I check every week for new things on your blog! I have a fashion blog of my own. I know how hard it is to blog that often! I love the sock bun post! When my hair is long enough, i will definitely be doing that style! I just nominated you for the Liebster Award – I really enjoy reading your blog and think other people will too! Check out my latest post for more information. I used to be a figure skater too! But have stopped it since I graduated from college. I love the design of your blog, it looks very elegant and neat! please keep up your work! I love all your crafts i don't want to be jugdy but can you make a hair bow with lace??? I love that you donated your hair i just donated all my hair so now i am bald !!!! I would seriously love to hear from you about this. I will always wonder. I love the sparkly white headband pattern. What type of yarn is that? I can't make out the label and I'd like to see the gauge.